The cost of keeping pets healthy rose more than 2 1/2 times as fast as consumer prices in general over the past 10 years. A $200 bill for veterinary services rendered in 1999, for example, would equate to more than $350 today, according to results of monthly surveys by the Bureau of Labor Statistics. 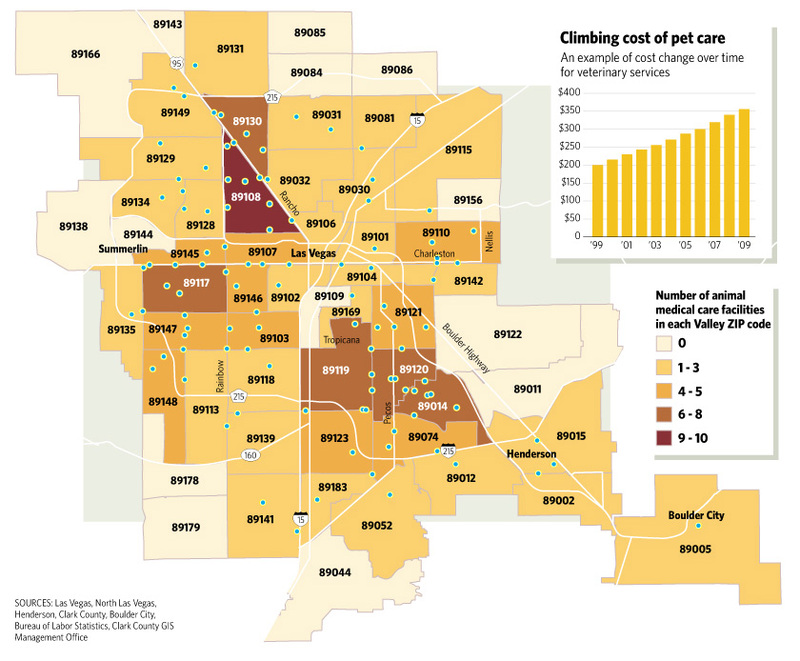 The map shows where the more than 100 animal hospitals, clinics and stand-alone veterinarians are in the Las Vegas Valley, based on business license rolls.